It’s the tail wagging the dog, or the cart before the horse as the IPCC prepares to publish its report. It’s the brave new world of Global warming – though global temperatures have been still or have declined slightly over the last 17 years. But it is 95% certain – says the IPCC – that carbon dioxide is the cause and the world has warmed by 0.8 °C since the 1950’s. But that 95% is plucked from the air. But they are certain – from their models that the world will warm by upto 4°C in the next 100 years — and that carbon dioxide is the cause! We know the cause but we don’t know the effects! The local effects are elusive. Climate scientists are surer than ever that human activity is causing global warming, according to leaked drafts of a major U.N. report, but they are finding it harder than expected to predict the impact in specific regions in coming decades. …. …. Drafts seen by Reuters of the study by the U.N. panel of experts, due to be published next month, say it is at least 95 percent likely that human activities – chiefly the burning of fossil fuels – are the main cause of warming since the 1950s. But they will merely ignore the real observation that global temperatures have not increased for at least 17 years. And gauging how warming would affect nature, from crops to fish stocks, was also proving hard since it goes far beyond physics. “You can’t write an equation for a tree,” he said. How exactly the certainty increased when temperatures did not go up while carbon dioxide concentration continued to increase is of no consequence – apparently. How certainty increases when the models are diverging more and more from reality is another mystery. The IPCC report, the first of three to be released in 2013 and 2014, will face intense scrutiny, particularly after the panel admitted a mistake in the 2007 study which wrongly predicted that all Himalayan glaciers could melt by 2035. Experts say the error far overestimated the melt and might have been based on a misreading of 2350. The new study will state with greater confidence than in 2007 that rising manmade greenhouse gas emissions have already meant more heatwaves. But it is likely to play down some tentative findings from 2007, such as that human activities have contributed to more droughts. …. Drew Shindell, a NASA climate scientist, said the relative lack of progress in regional predictions was the main disappointment of climate science since 2007. “I talk to people in regional power planning. They ask: ‘What’s the temperature going to be in this region in the next 20-30 years, because that’s where our power grid is? '” he said. “We can’t really tell. It’s a shame,” said Shindell. Like the other scientists interviewed, he was speaking about climate science in general since the last IPCC report, not about the details of the latest drafts. The panel will try to explain why global temperatures, while still increasing, have risen more slowly since about 1998 even though greenhouse gas concentrations have hit repeated record highs in that time, led by industrial emissions by China and other emerging nations. An IPCC draft says there is “medium confidence” that the slowing of the rise is “due in roughly equal measure” to natural variations in the weather and to other factors affecting energy reaching the Earth’s surface. “It might be down to minor contributions that all add up,” said Gabriele Hegerl, a professor at Edinburgh University. Or maybe, scientists say, the latest decade is just a blip. Or maybe the Anthropogenic Global Warming meme is just plain wrong. The main scenarios in the draft, using more complex computer models than in 2007 and taking account of more factors, show that temperatures could rise anywhere from a fraction of 1 degree Celsius (1.8 Fahrenheit) to almost 5C (9F) this century, a wider range at both ends than in 2007. The low end, however, is because the IPCC has added what diplomats say is an improbable scenario for radical government action – not considered in 2007 – that would require cuts in global greenhouse gases to zero by about 2070. Temperatures have already risen by 0.8C (1.4F) since the Industrial Revolution in the 19th century. Experts say that the big advance in the report, due for a final edit by governments and scientists in Stockholm from September 23-26, is simply greater confidence about the science of global warming, rather than revolutionary new findings. “Overall our understanding has strengthened,” said Michael Oppenheimer, a professor at Princeton University, pointing to areas including sea level rise. An IPCC draft projects seas will rise by between 29 and 82 cm (11.4 to 32.3 inches) by the late 21st century – above the estimates of 18 to 59 cm in the last report, which did not fully account for changes in Antarctica and Greenland. The report slightly tones down past tentative findings that more intense tropical cyclone are linked to human activities. Warmer air can contain more moisture, however, making downpours more likely in future. “There is widespread agreement among hurricane scientists that rainfall associated with hurricanes will increase noticeably with global warming,” said Kerry Emanuel, of the Massachusetts Institute of Technology. “But measuring rainfall is very tricky,” he said. Are global warmists preparing exit strategies? Are global warmists preparing their arguments so that they can have exit strategies ready for when they have to abandon the global warming religion? The purpose of an exit strategy is – as a minimum – to save face and minimise losses. In the best case it ends an engagement while realising potential benefits and protecting past gains. This is common enough in – and a necessary part of – business and military planning. Politicians – at least the skilled ones – always have exit strategies in place when they choose to follow a particular “path of principle”. It is less likely that ideologues or religious leaders have prepared exits from dogmatic positions. However even they do have to change their colours from time to time. (Fanatics of course are not permitted exit strategies. They are expected to fall on their swords and die for their cause). To escape from a discredited or outdated or bankrupt “faith-based” dogma usually requires some strong, visible reason for leaving a dogmatic position. A divine “revelation” is best though “new data” or just “seeing the light” are also acceptable. This provides both a new faith as a destination and a reason for leaving the current position. A good exit strategy will also include a high profile “conversion” from one faith to another such that much credit can accrue, first for an”honourable” mea culpa for having followed the wrong path and then for the “principled and difficult” shift to the new path! Damage control may also require that the new converts repudiate their former “brothers of the faith”. In fact it is often “converts” who become the most fanatical about their new “religion”. The success of an exit strategy can be judged by how much baggage or stigma the ideologue or politician can avoid after the conversion. But he has a new (open access) paper which makes me wonder whether he is preparing a position for the execution of an exit strategy when it becomes necessary. He now admits that less of human made CO2 is entering the atmosphere than it should but that it is due to the increased use of coal which has increased aerosol particulates. He argues that this short term masking by aerosols of global warming will eventually have to appear and his doomsday messages have not changed. But he is adjusting his arguments quite fundamentally to account for the real life observations which he can no longer ignore. The “fertlisation of the biosphere” to account for man-made carbon dioxide not entering the atmosphere sounds a lot like back-pedalling to me. That the biosphere feeds on and relishes carbon dioxide is obvious. It does not much care where it comes from. The simple Keeling airborne fraction, clearly, is not increasing (figure 3). Thus the net ocean plus terrestrial sink for carbon emissions has increased by a factor of 3–4 since 1958, accommodating the emissions increase by that factor. Figure 3. Fossil fuel CO2 emissions (left scale) and airborne fraction, i.e., the ratio of observed atmospheric CO2 increase to fossil fuel CO2 emissions. Final three points are 5-, 3- and 1-year means. …… We suggest that the surge of fossil fuel use, mainly coal, since 2000 is a basic cause of the large increase of carbon uptake by the combined terrestrial and ocean carbon sinks. One mechanism by which fossil fuel emissions increase carbon uptake is by fertilizing the biosphere via provision of nutrients essential for tissue building, especially nitrogen, which plays a critical role in controlling net primary productivity and is limited in many ecosystems (Gruber and Galloway 2008). Modeling (e.g., Thornton et al 2009) and field studies (Magnani et al 2007) confirm a major role of nitrogen deposition, working in concert with CO2 fertilization, in causing a large increase in net primary productivity of temperate and boreal forests. Sulfate aerosols from coal burning also might increase carbon uptake by increasing the proportion of diffuse insolation, as noted above for Pinatubo aerosols, even though the total solar radiation reaching the surface is reduced. The principal implication of our present analysis probably relates to the Faustian bargain. Increased short-term masking of greenhouse gas warming by fossil fuel particulate and nitrogen pollution represents a ‘doubling down’ of the Faustian bargain, an increase in the stakes. The more we allow the Faustian debt to build, the more unmanageable the eventual consequences will be. Yet globally there are plans to build more than 1000 coal-fired power plants (Yang and Cui 2012) and plans to develop some of the dirtiest oil sources on the planet (EIA 2011). These plans should be vigorously resisted. We are already in a deep hole—it is time to stop digging. Prof. Peter Ziegler (b. 1928) is a Swiss geologist and Titular Professor of Global Geology at the Geological-Paleontological Institute, University of Basel. He is a member of the Royal Netherlands Academy of Sciences, the Polish Academy of Arts and Sciences, the Russian Academy of Natural Sciences and the Academia Europaea. His presentation on the “Mechanisms of Climate Change” from February this year is pretty self-contained and self explanatory and my comments would only be superfluous. UPDATE: This email from IPCC at Revkin’s site seems to confirm that they are not officially invited but will be present anyway (at whose cost?) to provide a “background briefing for media”! Just in case the media cannot get their stories right “when they come to write about AR5“!! Pachauri and the IPCC have apparently not been invited to the United Nations Climate Change Conference (COP18/CMP8) which is to be held in Doha from November 26th to December 7th. Pachauri has been talking to the press in Doha and seems very aggrieved. His press interview seems like he is almost begging for an invitation. He’s already in Doha so maybe he could just gatecrash the event!! It could just be a secretarial oversight or it could be an intentional snub by the UN for a discredited organisation or it could be the UN expressing its displeasure for the manner in which the IPCC preens itself and usurps the UN’s own perceived role. Or it could be that some of the key countries attending plan to question or reject the IPCC’s findings and just don’t want them around. My guess is that some way will be found for Pachauri to save some face. ……. Dr Pachauri first hinted about his ‘anticipated absence’ at COP18, while speaking at the opening session of the International Conference on Food Security in Dry Lands (FSDL) on Wednesday at Qatar University. Later, he told Gulf Times he did not know why the IPCC has not been invited to COP18, something that has happened never before. “I don’t know what it is. The executive secretary of the climate change secretariat has to decide. I have attended every COP and the chairman of the IPCC addresses the COP in the opening session,” he explained. I have yet to come across a case where Alarmism and the invocation of the Precautionary Principle to spend billions has been justified. The Precautionary Principle itself is flawed and is usually invoked to justify actions in favour of a political ideology which go against common sense. There are no principles involved. For example the billions spent on “preventing” the alleged Y2K meltdown were shown to have been essentially unnecessary when countries which just did not have the money to spend suffered no significant ill-effects (Ukraine and Romania for example). The AGW othodoxy is following the same path where trillions are being spent in following political objectives which have no basis and go against common sense. Professor Richard Lindzen of MIT has been addressing the UK House of Commons. The Independent: Is catastrophic global warming, like the Millenium Bug, a mistake? The deification of climate models and the development of the Global Warming religion will be remembered as one of man’s great follies. The six climate models were chosen from those used by the U.N.’s Intergovernmental Panel on Climate Change. The UA Huntsville team used the three models programmed using the greatest sensitivity to radiative forcing and the three that programmed in the least sensitivity. Well, our paper entitled On the Misdiagnosis of Surface Temperature Feedbacks from Variations in Earth’s Radiant Energy Balance which refutes Dessler’s claim, has just been accepted for publication. In it we show clear evidence that cloud changes DO cause a large amount of temperature variability during the satellite period of record, which then obscures the identification of temperature-causing-cloud changes (cloud feedback). Along with that evidence, we also show the large discrepancy between the satellite observations and IPCC models in their co-variations between radiation and temperature. India has once again challenged the UN’s climate science body – the Intergovernmental Panel on Climate Change (IPCC) — through a new scientific paper. The Environment ministry sponsored paper says that human induced global warming is much less than what the R K Pachauri headed IPCC had said. 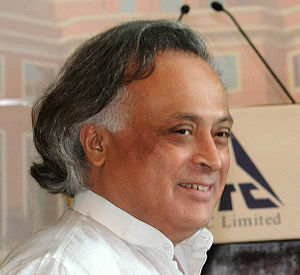 The cause is reduced impact of Galactic Cosmic Rays (GCRs) on formulation of low clouds over earth in the last 150 years, says a paper by U R Rao, former chairman of Indian Space Research Organisation, released by Environment minister Jairam Ramesh. …. Analyzing the data between 1960 and 2005, Rao found that lesser GCRs were reaching the earth due to increase in solar magnetic field and thereby leading to increase in global warming. “Consequently the contribution of increased CO2 emission to be observed global warming of 0.75 degree Celsius would only be 0.42 degree Celsius, considerably less than what predicted by IPCC,” the paper said to be published in Indian Journal Current Science had said. This is about 44 % less than what IPCC had said. Ramesh in 2009 had released a similar scientific paper saying that the IPCC’s claim that most Himalayan glaciers will melt by 2035 was wrong. A few months later, after a review the IPCC regretted the error. If Ramesh latest bid gets globally recognition, it can alter the rules of UN run climate negotiations of 200 nations. “Climate science is much more complex than attributing everything to CO2,” said Subodh Verma, climate change advisor in the Environment ministry. V Ramanathan of US based Scripps Institute of Oceanography at University of California said the Rao’s paper strengthens the case for greenhouse a primary driver for global warming. “The observed rapid warming trends during the last 40 years cannot be accounted for (by) the trends in GCRs,” he said, in his comments on Rao’s paper. Science is indeed all about asking questions. It seems to have been forgotten that anyone who is not a sceptic deep down is not – and can not be – a scientist. IPCC Meeting opens in Busan. Pachauri to go? It is time for Pachauri to call it a day. Even though the Indian Government is forced to support the discredited Chairman, the recommendation that the Chairman not serve more than one term will probably be followed. The 32nd general assembly of the Intergovernmental Panel on Climate Change (IPCC) opened in Busan today. Attending the four-day meeting are IPCC Chairman Rajendra Pachauri, the heads of the World Meteorological Organization and the U.N. Environment Program, and some 400 other delegates from 194 countries. The participants will discuss 14 issues, including the publication of the IPCC’s fifth assessment report that will be announced in 2014. The Times of India believes the Busan meet will decide Pachauri’s fate as IPCC head. Though the Council had recommended that the “the term of the IPCC Chair should be limited to the timeframe of one assessment”, and Pachauri has already headed one such assessment report, which was released in 2007, the Indian government plans to back the director of The Energy Research Institute (TERI) at the meeting. But, the Indian representatives at the meeting will ask for immediate implementation of all the other reforms of the committee set up after the Himalayan glacier scandal that had dented the IPCC’s reputation earlier this year. Posted in Alarmism, Climate, Environment, Fraud | Comments Off on IPCC Meeting opens in Busan. Pachauri to go? It would appear that large sections of the IPCC 1995 Working Group 2 report has just lifted sections from a book published by its lead author. It could be just simple plagiarism or is perhaps the self-adulation to be expected from lead authors – or the IPCC report being used for marketing the book? ?